A 16,900 square foot building located at 4136 North Miami Avenue in the Design District has sold for $10.1 million, according to The Real Deal. The building was sold by developer Manny Varas and purchased by Perpetual Love Acquisitions LLC. 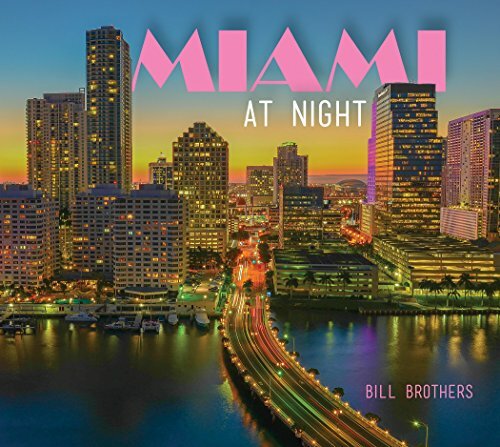 As the Design District continues to expand with the addition of Museum Garage and Paradise Plaza, both places are equally as impressive at night. 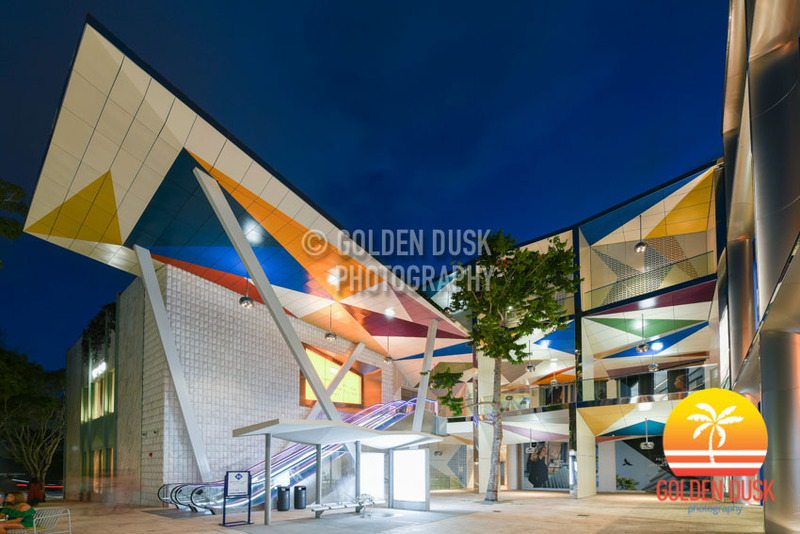 With colorful designs throughout Paradise Plaza such as the work of Freeland Buck, the colors pop at night with the right lighting. Officially opening in December 2017, more stores continue to open weekly in Paradise Plaza as the whole area is beginning to take shape compared to how it looked four years ago. As Museum Garage in the Design District will soon be opening for the public, the outside façade of the garage lights up spectacularly at night with the work curated by Terence Riley of K/R Architects and featuring the work of WORKac - "Ant Farm", J. MAYER H. - "XOX - (Hugs & Kisses), Clavel Arquitectos - "Urban Jam" and Nicolas Buffe - "Serious Play". 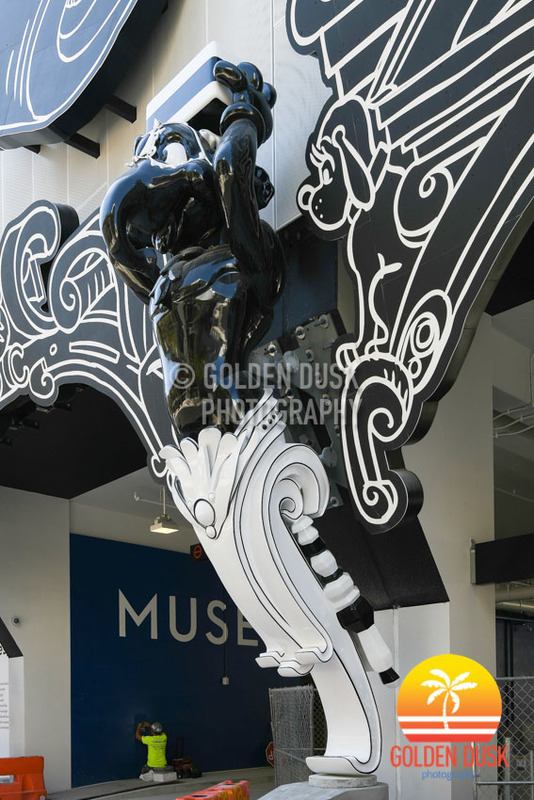 Museum Garage is located across the street from the recently opened Paradise Plaza in the Design District. Opening in December 2017 in time for Art Basel, Paradise Plaza is part of the growing expansion of the Design District that started with the addition of Palm Court. 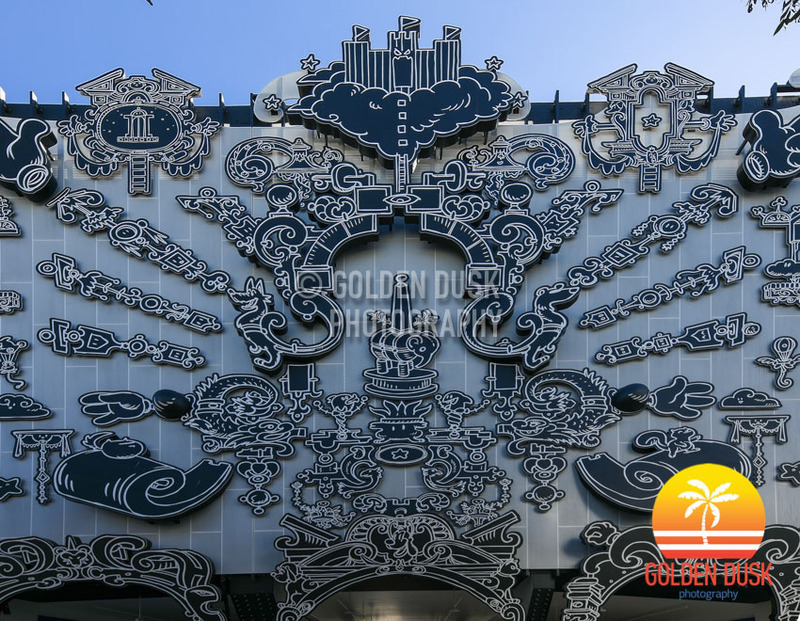 Located along NE 41st street and next to the recently opened Museum Garage, Paradise Plaza features the work of Freeland Buck and stores such as Gucci and Dolce & Gabbana. Restaurants such as L’Atelier, La Boutique, Le Sushi, Le Bar, Ember and Kaido will be opening sometime this year. The 7 story Museum Garage in the Design District that can hold up to 800 cars is nearly completed and ready to open any day now. When we first looked at the project in February 2018, most of the outside façade was completed with a few additions since then. 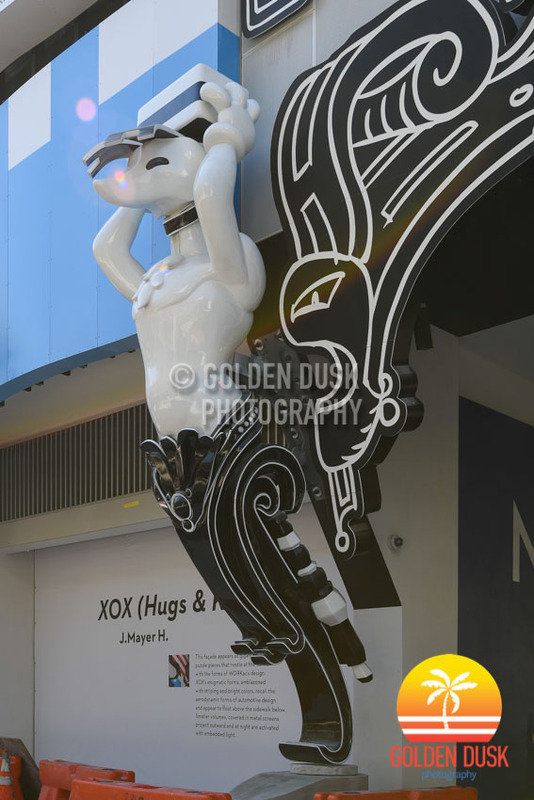 Museum Garage was curated by Terence Riley K/R Architects and featuring the work of WORKac - "Ant Farm", J. MAYER H. - "XOX - (Hugs & Kisses), Clavel Arquitectos - "Urban Jam" and Nicolas Buffe - "Serious Play". Museum Garage is the second garage to be built in the area after City View Garage in 2015. 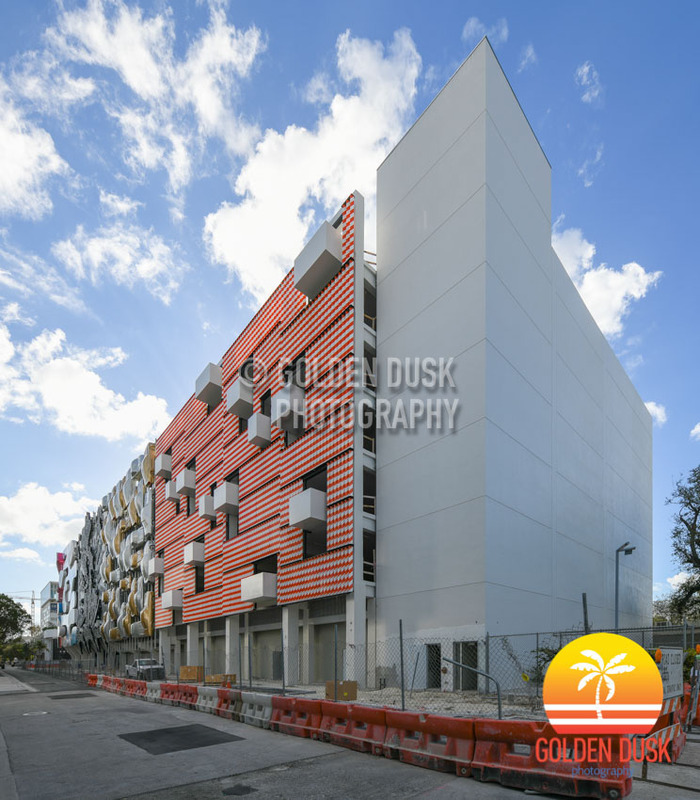 Nearly completed is the 7 story Museum Garage located in the trendy Design District of Miami. 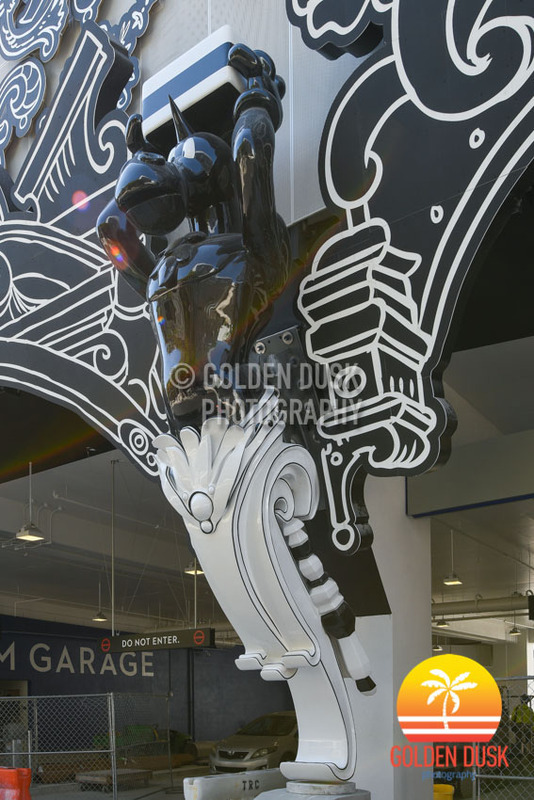 Museum Garage will feature the work of six different artists including Sagmeister & Walsh, Work Architecture Company, K/R Keenen Riley Architects, Clavel Arquitectos, J. Mayer H and Nicolas Buffe that was curated by Terence Riley of K/R Architects. 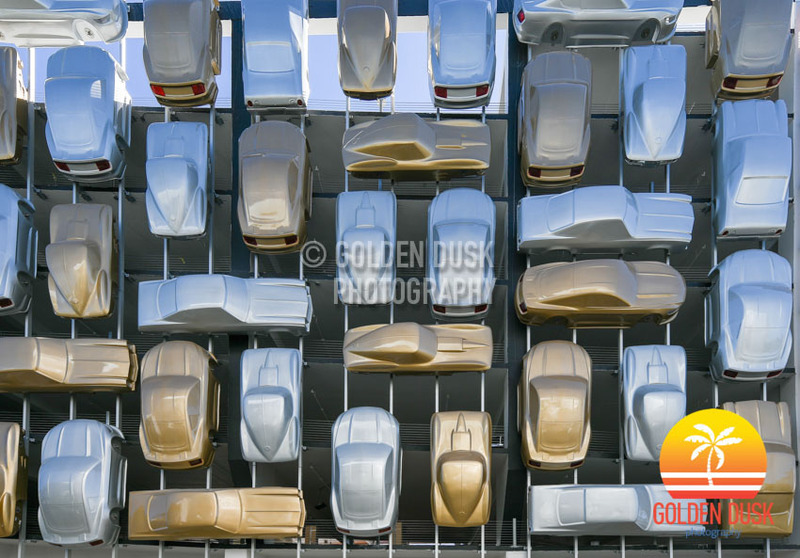 One of the more unique designs is called "Urban Jam" by Clavel Arquitectos that features 45 cars painted in silver and gold lining the façade of the South portion of the garage. Museum Garage, which will also have retail on the ground floor, is located only a couple blocks from City View Garage that opened in March 2015.